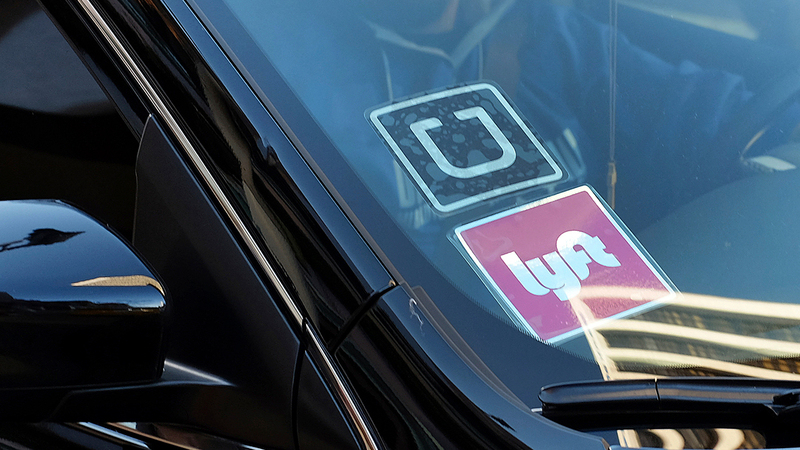 In this Tuesday, Jan. 12, 2016, file photo, a driver displaying Lyft and Uber stickers on his front windshield drops off a customer. CHICAGO (WLS) -- Ridesharing companies are starting to refund riders who paid higher than average prices during the emergency that shut down the Red, Brown and Purple CTA lines Tuesday morning. A body found on the tracks near the Fullerton stop shut down services on all three lines for several hours on Tuesday morning. The shutdown led to higher than average prices for Uber and Lyft riders, costing some customers more than $100 to get from the North Side to downtown. Both Uber and Lyft confirmed they are processing refunds for riders hit by that surge pricing. An Uber spokesperson said they began processing refunds Thursday morning.